Soccer fans and Gamers who are fans of the FIFA Series should know that every year a new game is out and this year it’s FIFA 18. 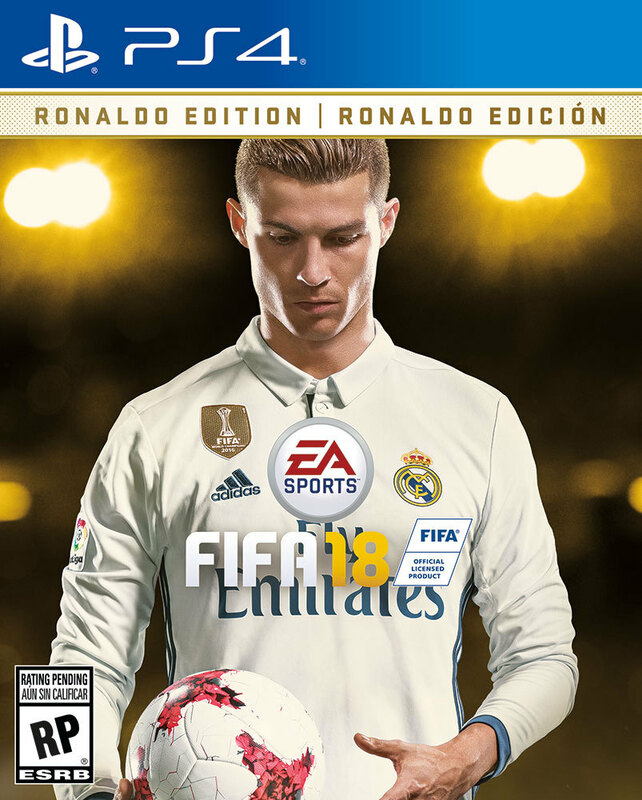 As usual, a new cover athlete for the game is chosen and this year it’s Cristiano Ronaldo from Real Madrid. He is considered one of the best players in the world but I know some of you might disagree and say it’s Lionel Messi (FC Barcelona), I’m just the news guy so don’t get mad at me. Let’s get to the point FIFA 18 releases worldwide on September 29th 2017 on PlayStation 4, Xbox One, PC, PlayStation 3 and Xbox 360. Pre-order now to get incredible offers, including three days early access with the Ronaldo (Deluxe) and ICON (Super Deluxe) Editions. Plus, kick off your FIFA Ultimate Team season early with special bonuses and items. Some of you might see this and say I got the wrong Ronaldo the truth is I didn’t and here is why: FIFA Ultimate Team legends are no longer exclusive to Xbox One, with EA today revealing that ‘Icons’ are headed to the PS4 and PC versions of FIFA 18, in addition to the Microsoft version. The first name revealed is three-times world player of the year Ronaldo. That’s Ronaldo Luís Nazário de Lima rather than Cristiano – similar legendary status, very different current-day waistline. Expect those past greats already in the series such as Raul, Rivaldo and Marco van Basten to be confirmed for all formats at a later date. Digital Only: Pre-order for PlayStation 4, Xbox One, and PC.